The confirmed death toll in the Grenfell Tower fire has risen to 30 but is expected to soar significantly, police have said, as anger mounts over a litany of failings that led to the disaster. As British Prime Minister, Theresa May stands accused of failing to show “humanity” during a visit to the blaze site, emergency services are picking through the west London block’s charred remains in search of bodies for a third day. The Queen and Prince William have today visited a rest centre, with her Majesty at one point looking close to tears as she spoke to people affected by the blaze. After a string of politicians have been heckled by angry locals demanding answers, more than 2,700 people are said to be attending a Westminster rally tonight to demand “justice” – raising fears that tensions could boil over. Whole families are among those who remain unaccounted for since the blaze, which police fear was so devastating that some victims might never be identified. More than 70 people have been named by relatives as missing. 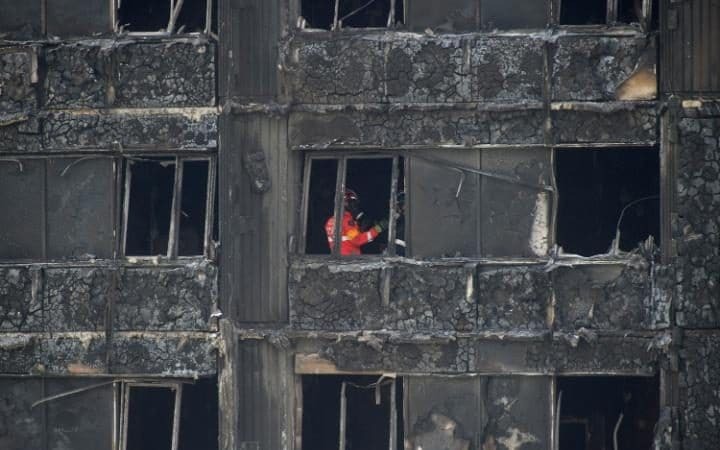 Thirty people are now confirmed to have died, but it is feared the figure could rise above 100. Twenty-four people remain in hospital, 12 of them in critical care. In a statement this afternoon, Metropolitan Police Commander Stuart Cundy said the victims included one person who had died in hospital. “There is nothing to suggest at this time that the fire was started deliberately,” he added. Teams were forced to leave the 24-storey building on Thursday afternoon when the fire restarted, delaying further the efforts to reach upper floors – where many victims are thought to have been trapped. The Prime Minister has ordered a full public inquiry into the disaster in response to mounting anger that a series of loopholes had left the inhabitants vulnerable – despite repeated warnings over the last 30 years. 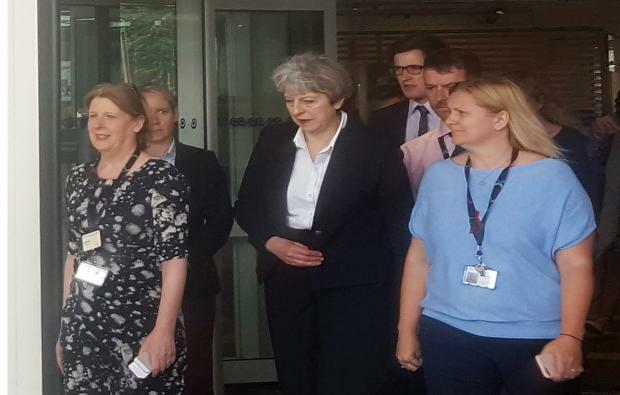 But Mrs May has been accused by former cabinet minister Michael Portillo of failing to show “humanity” during her visit to the scene by refusing to meet survivors as she wanted a “controlled situation” by only meeting rescue crews. 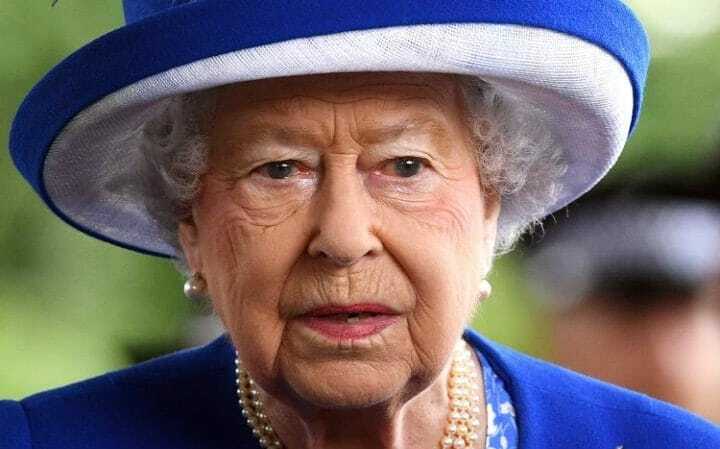 This afternoon, she made a private visit the Chelsea and Westminster Hospital which is treating eight survivors – but did not answer questions about “why she had not meet victims sooner”. It has emerged that there have been no updates to Britain’s building fire safety regulations for more than a decade, even though a number of fires abroad suggested they are out of date. Particular concerns have been raised about the cladding on the outside of buildings for a number of years, which experts said might have accelerated the inferno that consumed the block in just 15 minutes. It has since emerged that the United States had banned the type of cladding thought to have been used on Grenfell Tower.